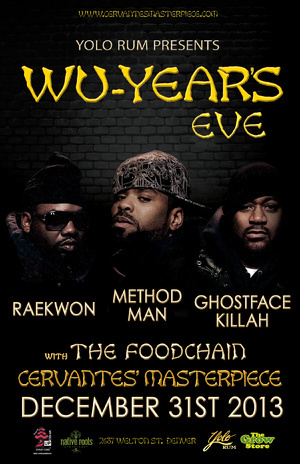 New Years Eve in Denver Colorado, Hannibal The Great will be opening up for Raekwon, Method Man, and Ghostface Killah during Yolo Rum Presents WU-YEARS Eve at Cervantes’ Masterpiece. When the clock strikes 12, and the ball has dropped Denver, Colorado will officially bring an end to the medical marijuana prohibition. A small dispensary shop in Central City Colorado, Annie’s Central City Dispensary, has made history by becoming the first store to receive their license for the sale of recreational “Ganja”. With this being the only shop available to sell the drug without having a medical marijuana card, the state is at a worry that it will not be able to supply and demand.